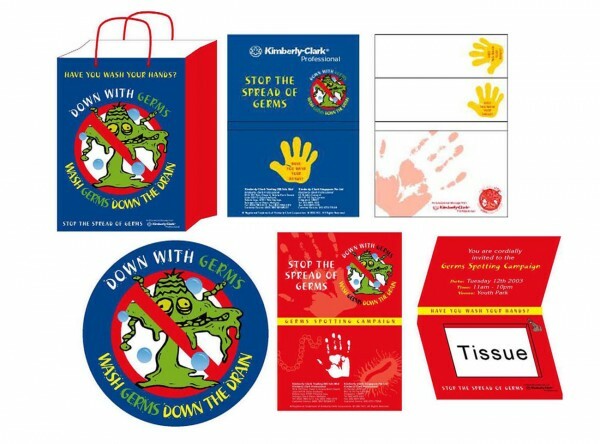 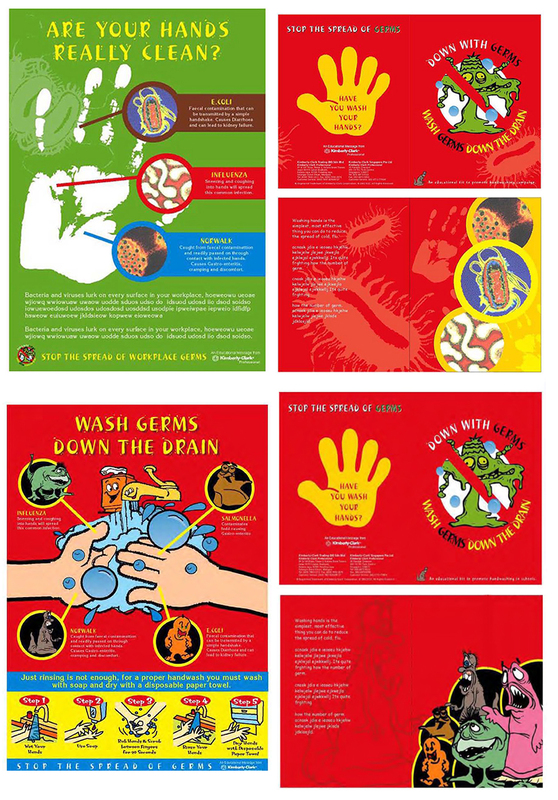 a series of items are produced for the adults and children germs spotting campaign. 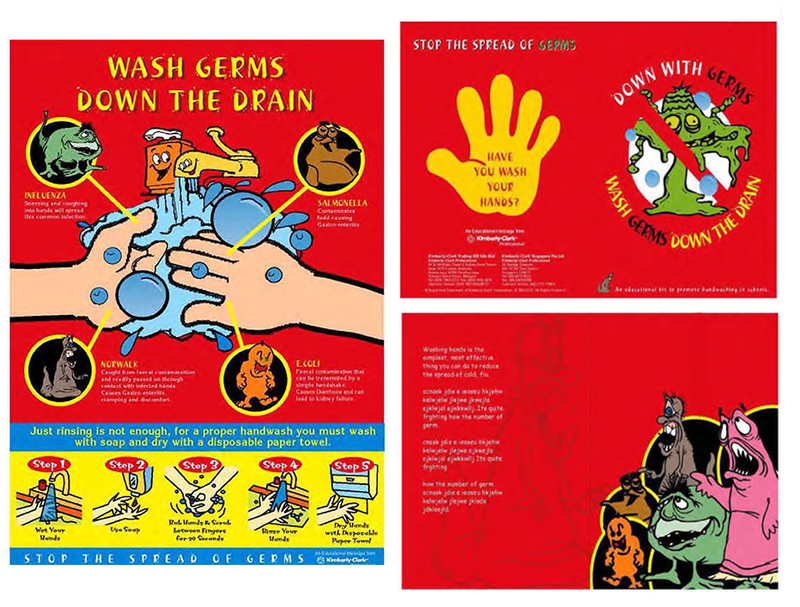 to promote healthy living by washing germs down the drain. 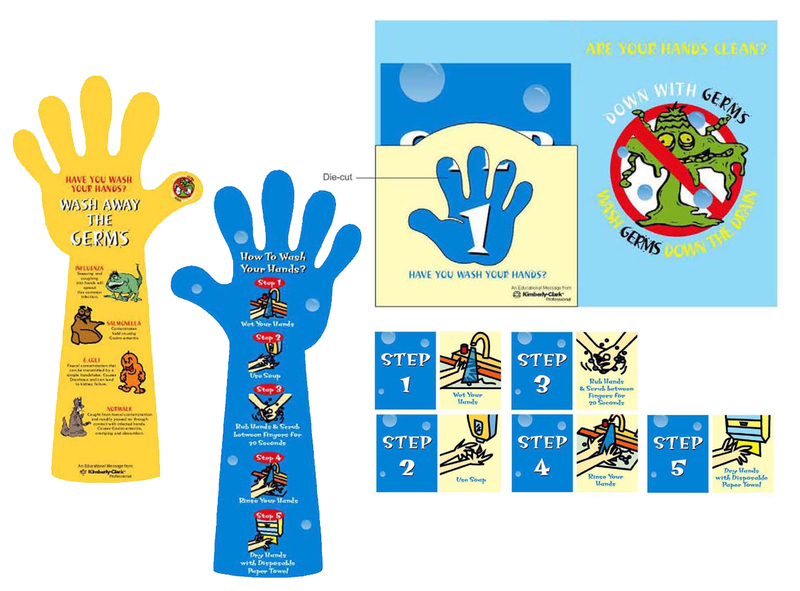 posters, office folders, promotional items, carrier bag, memo pad, mouse pad, direct mailer, educational kit, bookmarks.